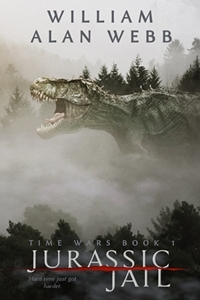 Jurassic Jail is a Science-Fiction Novel about time travel with a dose of military and covert ops like "Spectre agents chasing Mad Max through Jurassic Park." The first spinoff from the immensely popular Last Brigade series finds a future America that is dangerous and nearly bankrupt. The interstate highways are littered with the rusting hulks of shot-up cars and trucks and only heavily armed criminals dare travel the backroads. When the USA becomes embroiled in an arms race with Russia, China and other countries to develop time travel for military purposes, the body count goes up. Such a project attracts the best and the brightest as well as the worst and the psychotic. But not everyone has given up on the rule of law. Fayette County, TN, D.A. Pete Dance wants to prosecute the murder of a man whose fossilized remains turn up after a series of devastating earthquakes. The problem is that the victim is still alive. 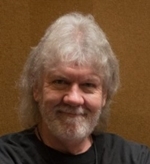 William Alan Webb majored in creative writing and it took 25 years to forget all of that. Once he did, his first series rocketed up the sales charts and has stayed there. His first fantasy book won the 2018 Darrell Award for Best Novella and next year Helion Books will publish his first non-fiction World War 2 military book. A West Tennessee native, Webb grew up reading history books, comic books, Conan, Starship Troopers and just about anything else he could get his hands on. As the world's oldest teenager, not much has changed. The truth is, he's a really big nerd who also loved played basketball and baseball and almost anything else that was fun. Including chess. He was Tennessee state team champion in 1972. He's also pretty loyal. If he's your friend then he's your friend, regardless of circumstance. Kind of like a really good dog, except he doesn't pant as much and usually drinks from a glass, not a bowl.